This is a 4x5 mule deer I shot while hunting in West Texas. He's the biggest buck I've ever killed and seen on the hoof. 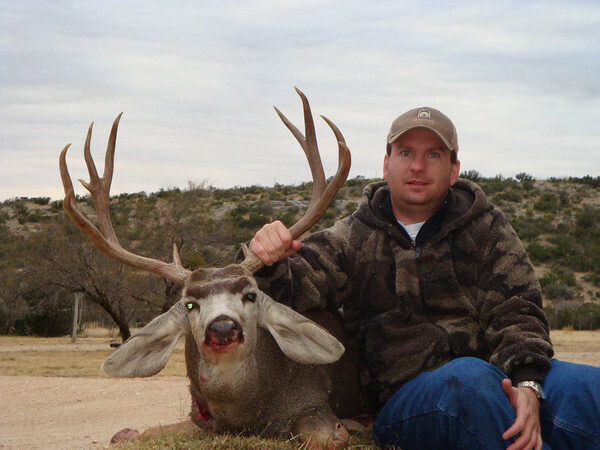 Description: This is a 4x5 mule deer I shot while hunting in West Texas. He's the biggest buck I've ever killed and seen on the hoof. Thank you for your nice comments. I am very happy and grateful to have harvested him. Best of luck in your hunting adventures.